Vacuuming is probably an automatic part of your cleaning routine, but do you know why it’s so important? Of course, vacuuming picks up dirt and other messes on your carpets, but it also does so much more for your home. Your carpets can trap dust and allergens from the air, making a large impact on the quality of the air you breathe. However, if your carpets get too dirty, they’ll begin to release dirt and allergens with every step instead of trapping them. Thus, vacuuming your carpets regularly can actually improve the air quality in your home. Vacuuming is so important to the health of your home, so it’s important to do it correctly. Luckily, vacuuming correctly is not difficult. Just follow these easy tips and you’ll have clean carpets in no time. Don’t forget those corners and crevices. Dust tends to accumulate here, where it’s hard for the vacuum to reach. Most vacuums come with attachments that help you vacuum hard to reach crevices, so be sure to use them. “Top-down” cleaning saves you time and energy. Start at the top when you are cleaning, so that you vacuum up any fallen dust or crumbs last. Get in the habit of checking and emptying your vacuum bags or containers frequently. Don’t risk your vacuum getting too full and leaking all over the carpets you just cleaned. The dusting brush can clean items that need a softer touch. Vacuum daily in high-traffic areas such as entrances, or pet areas. Vacuum twice weekly in medium-traffic areas such as hallways or in front of furniture. Vacuum weekly in light-traffic areas, including carpet edges (use attachments to get the best results). Keep the instructions that came with your vacuum and refer to them periodically in order to make sure you haven’t missed anything. Keep hoses and attachments free from obstructions. Most vacuums that are “broken” often are only clogged somewhere. Read the instructions to find out where your vacuum is most likely to clog and be sure to clean them out regularly. When vacuuming, grip the handle, not the hose. Hoses can easily break, so be careful with them. Keep brushes clean (for example, remove tangled hair) and replace them when worn. Worn brushes become stiff and can damage carpet fibers. Using these tips, there is a lot of carpet care that you can do on your own. However, just vacuuming isn’t enough to keep your carpet healthy. 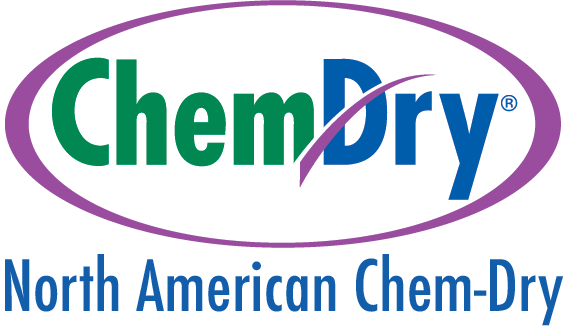 You should call in a professional carpet cleaner like North American Chem-Dry about every 6-12 months for best results!